➤ Depart early morning for MY THO, approximately 60KM away from Ho Chi Minh City. We will drive pass the beautiful landscape of rice field on the journey. ➤ Upon arrival at MY THO tourists' jetty we will take a boat ride to Thoison Island, guests may sample seasonal tropical fruits fresh from the orchards, taste Vietnamese tea mixed with honey extract from local bee hives, entertainment by local villagers on performance of traditional folk songs, also experience sampan boat ride under the shadow of the sea coconut palms then return to the main boat. ➤ Continue boat ride to Ben Tre village and visit local home industries to watch the process of producing coconut candies and rice paper for Vietnamese rolls. 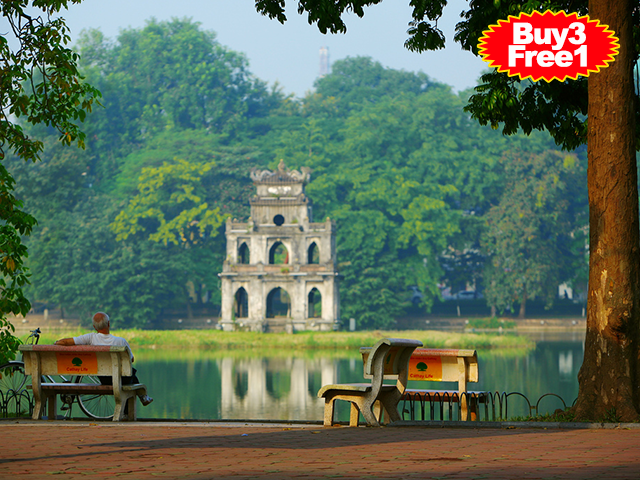 ➤ Enjoy lunch serves at local restaurant then return to Ho Chi Minh City.